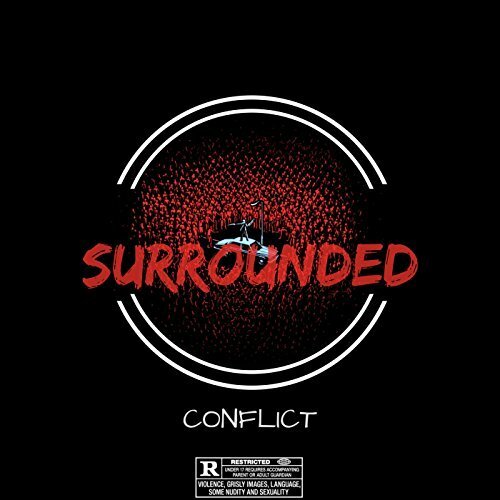 Brockton, Ma is a city more known for old time boxers and shoe factories but in the last few years there have been a few tried and true emcees that have been really pushing the front lines for the city and state. Da Block Dwellerz have one of the most complete and extensive resumes and catalogs as an underground group and collectively they have performed across the country and now it is time for one of the members to test his hand with a solo project, of course all of the Block Dwellerz family is involved. 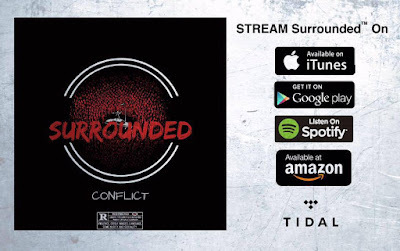 Conflict is one of the most diverse and skilled emcees, as he can go from rough and rugged street records to finely calculated R&B type joints without trying or sounding forced. He also handles some of his production and engineering, making Conflict a real problem for the industry. "Surrounded" is a wonderful introduction and reintroduction to Conflict because even fans familiar with his past work will be amazed to hear the growth this multi-threat has gone through! 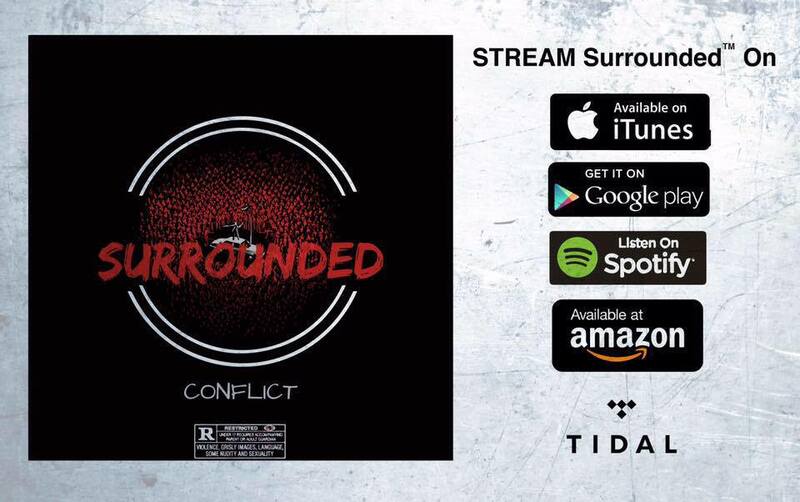 Be Sure to Check It Out on All Major Streaming Outlets! !